Tune in to CHSR 97.9FM (online at chsrfm.ca) Sunday, May 1 at 9PM AST (8PM EST) for our Civil War Debate! With the help of number one Marvel fan, Brent O’Hara, we’ll carefully examine both sides of the issues that separate Earth’s mightiest heroes. With less than a week before “Captain America: Civil War” hits the theatres, be sure you don’t miss this great opportunity to hear each side’s argument before picking your side. We’ll also have recaps of “Fear The Walking Dead” and the season 6 premiere of “Game of Thrones”. Speaking of “Thrones”, we love “Game of Thrones so much that we have a dedicated podcast available every Monday on our website…and it’s called “Speaking of Thrones”! Visit www.recapsequence.com for “Speaking of Thrones” and a full recap of the previous night’s episode (consider yourself spoiler-alerted!). 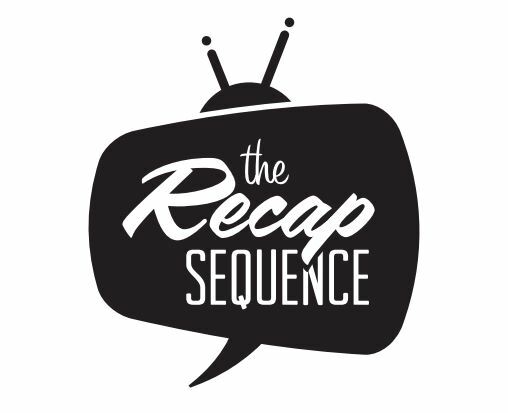 Follow us on Twitter @recapsequence for updates and be sure to tune in to CHSR 97.9FM (online at chsrfm.ca) Sundays at 9PM AST (8PM EST) for new episodes every week! If you’re one of the few who didn’t watch “Game of Thrones” last night on HBO, here’s a spoiler for you: Jon Snow (Kit Harington, “Pompeii,” 2014) IS dead…at least for now. But viewers who got a revealing look at the Red Woman’s nighttime routine know Melisandre (Clarice van Houten, “Valkyrie,” 2008) must wield some powerful juju so that may change. As Davos (Liam Cunningham, “The Numbers Station,” 2013) and the rest of Jon’s allies awaited reinforcements, viewers got the scoop on what else has been happening in the Seven Kingdoms. Tonight we bid farewell (for now!) to two of our favorite shows. “Better Call Saul” wrapped up season two on a dark and sinister note, while Supergirl fought for her life in Monday’s season one finale. And then there’s “Game of Thrones”. It’s back. Tonight. Rejoice! Tune in to 97.9 FM or listen to CHSR online (chsrfm.ca) at 9PM AST (8PM EST)! Fear The Walking Dead is back! On this week’s episode, we’ll be talking about last Sunday’s premiere, a high-seas drama complete with water-zombies and some guy named Jack…who may be a pirate! Or not. Ryan also unleashes Monster Mike and Mark the Encaffeinated One on Daredevil: Season 2. Sit back and enjoy a great discussion on Marvel’s latest Netflix offering! Be sure to tune your radios to 97.9FM on Sunday, April 17th at 9PM AST (8PM EST). Not in Fredericton? No problem. Hear us around the globe on chsrfm.ca! Episode 011 – The Walking Dead Season 6…finale? We’ll also be talking about Better Call Saul, the premiere of Fear the Walking Dead and that final link to the 17-minute mini-series, Flight 462, which concluded last week…and the dead keep walking! Be sure to tune in to 97.9FM, or online at chsrfm.ca, Sunday night at 9:00PM (8:00PM EST)!